Babblers are really difficult to digiscope and this White-chested Babbler Trichostoma rostratum is no different. 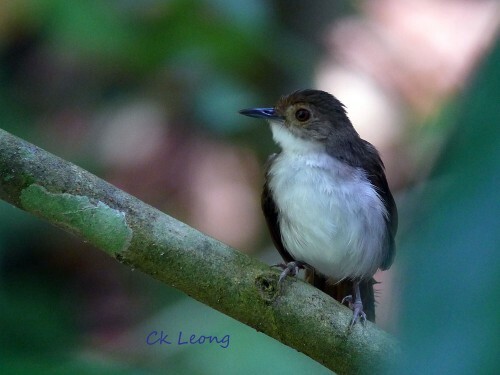 However it is a noisy bird and easy to find especially along rivers and wet areas in lowland forest. At 15cm, it makes up its lack of size with its loud call. Birders who complain about unimaginative common names will probably let this one go.